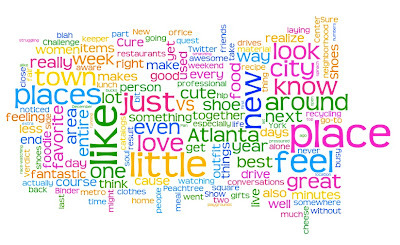 Some Twitter friends were employing the website Wordle to pull up fun graphical representations of web sites through word clouds. It will create a customizable cloud from either any text that you copy in, or using any web site RSS feed. 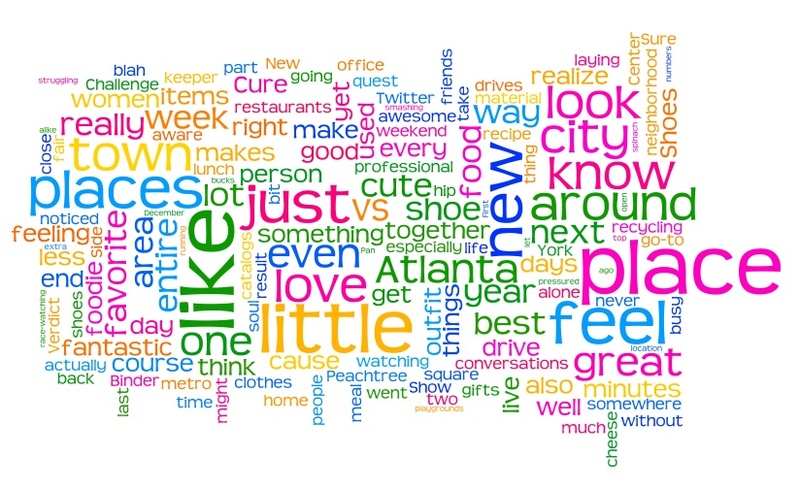 So I thought to myelf, let's see if Wordle knows what Buckhead Betty is all about!